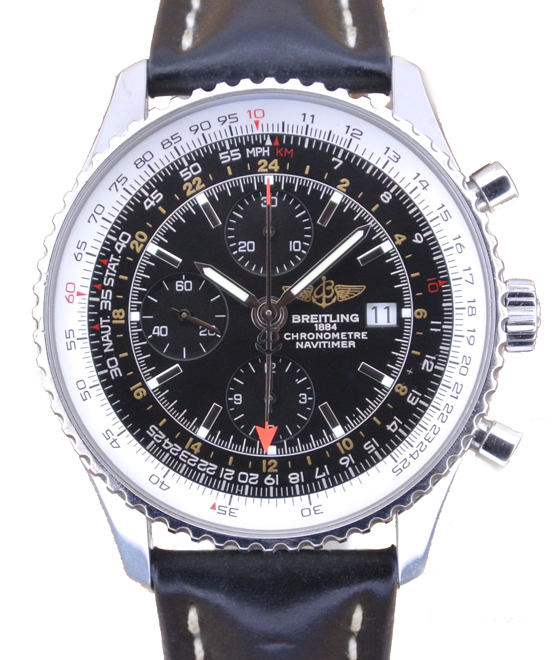 The Breitling Navitimer is one of the first Breitling timepieces that have enjoyed their very own in-house Breitling movement. Besides this achievement, it is also one of the few classic aviator watches that are still very popular on the market. 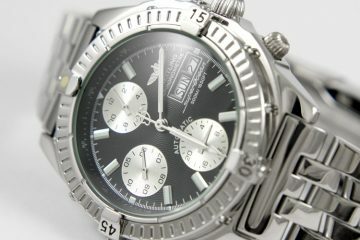 In fact, for the past 50 years, it has been the only wristwatch chronograph in continuous production. It is a very special design that captures your passion for beautiful chorological masterpieces and turns it into a timeless obsession. 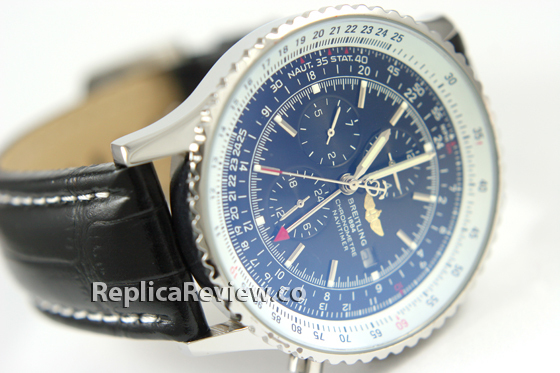 The Breitling Navitimer is a watch that can’t be ignored. Its aesthetics suggests extravagance and complexity. 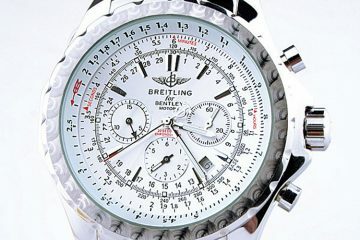 The dial is overly intricate, the case is highly polished and the bezel is unique in terms of form and functionality. But even though the dial is somehow busy, it remains surprisingly easy to read. The distinctive black dial features a date window and three hour markers that turn the watch into an analog computer. Of course, not everyone knows how to use this complex function. 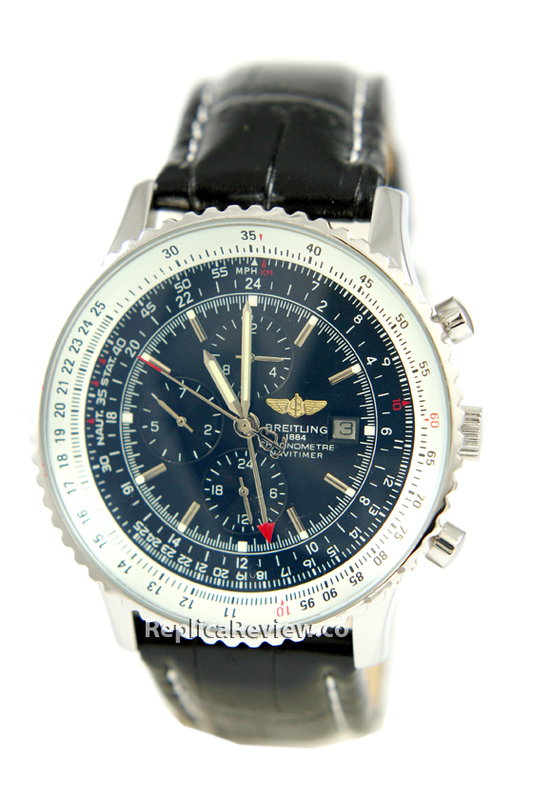 Below we have a couple of pictures of a Breitling Navitimer replica and we will compare them with a photo of the original watch. The objective of this article is to determine how authentic looking the replica is. 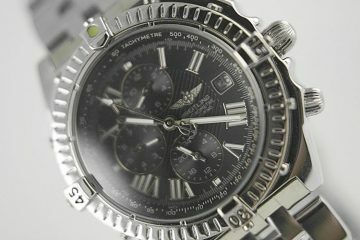 Usually, all fakes have a serious problem with cloning the dial accurately. 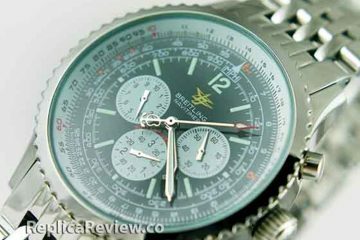 The same thing goes for this Breitling replica watch. The dial has some major errors. 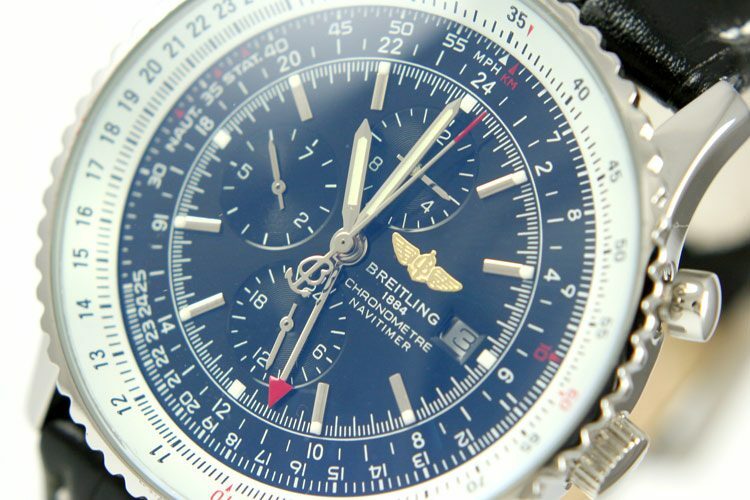 Firstly, the Breitling B-winged logo is way off. Sure, it is in the right position at 3 o’clock, but on the replica its inside is completely covered with gold color, while on the original watch this part is cut out. Secondly, the hour markers on the fake watch are in the wrong color. Instead of white these have been colored in gold. The same mistake can be seen in the date window. Its background should be white, but on the knockoff it is gold. And thirdly, the small dials are way off. The one from 6 o’clock has 6, 12, 18 and 24 markers instead of 3, 6, 9 and 12. The one from 9 o’clock has 2, 5, 7 instead of 20, 40, 60, and the one from 12 o’clock has 4, 8, 12 markers instead of 10, 20, 30. 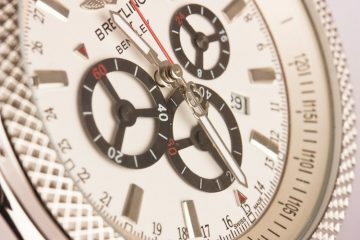 The rest of the dial features correctly cloned details. Now, if we take a quick glance at the outside of the watch we notice that this part of the Breitling Navitimer replica is pretty exact. The wavy distinctive bezel is flawlessly reproduced, the winding crown and buttons are nicely finished, the case is overly polished just like the authentic timepiece and the leather strap features the elegant white stitching. 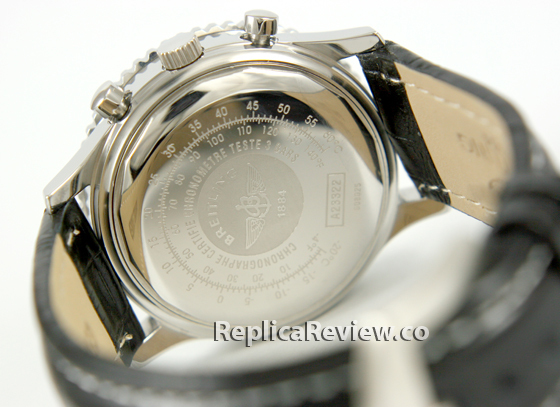 Also, the case back has the iconic Breitling tachymeter gradations. These manage to complete the genuine look of the watch. There is nothing more charismatic than an aviation inspired timepiece with a modern twist. This is what the Breitling Navitimer is – an exquisitely designed watch that amazes with its perennial design, superior functionality and innovative features. WHere do I find this replica? can you send me the website?